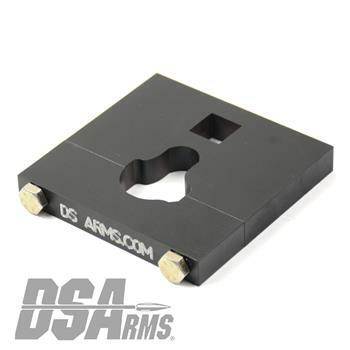 The DS Arms FAL SA58 Receiver Action Wrench is designed fit all receiver types. This heavy duty design allows you to remove even the most stubborn receiver sections from your barrel as well as making new installation a breeze! This action wrench is machined from 1018 Nitro Carbonized Steel and features a Mil-Spec. phosphate finish. Cut to accept 3/4" drive. Disclaimer: Due to a variety of receivers and receiver types manufactured this wrench may not have the optimal fit to your receiver.